Pass-the-Pattern is a fun sewing community event initiated by Marijana of Sew2Pro and Lesley of sewniptuck back in March. You can read all about it here and here. I received my Issy (from Lesley in Australia) after winning the drawing and it arrived about a week ago. Following the rules of engagement, I mailed a stashed pattern of my choice to Lesley and just as I sat down to start this post…she emailed me that she had just received it…it is the StyleArc Poppy. I had it in my stash for a looong time and just haven’t found the inspired fabric to make it up. It was a freebie when I ordered another pattern and I happen to have 2 of them, well not anymore ;). 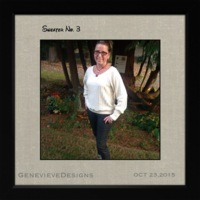 Can’t wait to see what she does with it…she is super creative and a very talented sewist. Keep an eye out for her post. What a fun and exasperating ride it’s been. My first trial Issy was actually pretty simple…no issues. Only slight tweaking needs were found after she was finished. I think one or two head scratching moments, but virtually no real issues. I left the last post with needing to go to the fabric store as my overflowing stash did not show any promise for a summer-time version of this cutie-pie… a sleeveless top to show off my hopeful tanned arms. During a sleepless in Seattle moment, I remembered I had some several yards of mesh knit that I bought when Fabric Mart was having a $1/yard sale extravaganza! First thing in the morning after coffee of course, I pulled out my favorite, and BAM! 2 yards….hallelujah! It is a nylon/lycra blend and very lightweight. The adventure ensued…try approaching a raging river was in my sight. I thought…do I really want to go there? Or should I just bail and take the calmer waters, going to the fabric store and finding a nice and easy knit. Naw, let’s go Issy…no turning back! I love a challenge…I can do this!!! I bought some Sullivan’s fabric stabilizer a couple of weeks back on recommendation from Lauren of Lladybird and it works like a charm! Left = With Stabilizer & Right = Without Stabilizer…excuse the mess in the background! I wasn’t sure if it would work so I tested it on a smaller piece…it worked like a charm! I sprayed it while it was folded before cutting out the pattern…a tough wrangle but used pins in the selvage edge to keep it straight. I used the recommendation from the can and put a dry iron over the spray to speed up the process. I did both sides of the folded piece to ensure even coverage. This mesh is super sheer so I cut a double layer of just the front so I wouldn’t have to where a cami under it…only a bra. 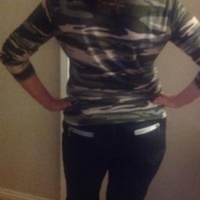 Don’t much care if anyone sees my back bra. I took a photo of the top completed on a hanger before I threw it in the wash this morning to give y’all an idea of just how stiff it made the fabric…but very nice to handle while sewing. 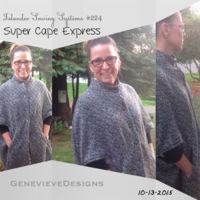 see how it kind of poofs out, looking more like a cowl neck? Having worked up a trial in the jersey, I had the weirdness worked out. The fit adjustments I made were few. For finishing the front neckline, I sewed the double front pieces right sides together between the notches which made for a really clean edge. Double bonus, it also stabilized a super stretchy fabric :). Construction was a breeze, more or less….well until I got to the armscyes. Here is where I began to really stress out! I wanted to wad it up and throw it in the trash can! I always sew before work every morning after coffee. It’s a great way to start my day on a happy note 🙂 Right? Well, not so yesterday morning, when I so efficiently applied my favorite double-sided fusible hem tape preparing to turn under and top stitch the right armhole. I even had time to stitch it so then all I had to do was the other side seam and hem the left armhole when I got home. As soon as I got done, I realized that I was going to bind it properly as I like that finish much better and being mesh…it would looked terrible turned and top stitched. Dang my impatience! That evening…this is the view. Note the terrible monster looking expression…lol!!! Hating on the seam ripping! Leave a comment by May 7th at midnight PST at the bottom of this post to go into the drawing. I will randomly choose a winner on Mother’s Day May 8, 2016. 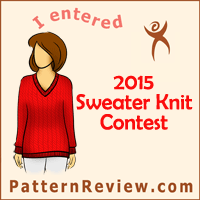 The winner will be sent the Style Arc Issy by snail mail with stamps! Blog about your Issy experience. No blog? not a problem, I would be pleased to publish for you, just contact me by leaving a comment on this blog post :). One addition that I have added…The Issy recipient is to add their State/Country on the piece of paper I have included in the pattern envelope…sort of like a Passport that has been stamped!!! Hope that is okay with Marijana and Lesley…. Blog/write about the mystery pattern you received in return for sending Issy onto a new home somewhere in the big wide world. How many times will Issy be made and where in the world will it go? Can you pattern hack Issy? Help us play ‘Pass the Pattern’. Leave your comment at the bottom of this post to go into the drawing. After posting about my sewing stash, I realized it’s time me to go shopping and stash-bust. There are some fabrics I’ve had for a while and a couple that are more recent. One of the @home fabric store departments I did not include in my last post was the pattern department! How could I leave that out? I tend to use my TNT patterns most often, so the others that I bought, cuz I loved them, needed to have the dust blown off of them. Some of the most abundant is a collection of Silhouhette Patterns. It took me a while to start buying them, because frankly…the photos are usually not very appealing. (sorry Peggy :/) That said, I began to shift my paradigm when I started watching the live webcasts on YouTube that Peggy Sagers does every other week. I have learned so much from her, from fitting using draping to making simple changes to a pattern to achieve a completely different look. Peggy Sagers is a very generous pattern maker….these webcasts are 1-hour-long and are FREE! One of the patterns she frequently uses as an accessory is Colette’s Wrap #83. See my pattern review here. It’s sort of a cocoon style wrap, but the coolest change is creating an infinity scarf by inserting a zipper in the back seam! I finally made, not one but TWO! Sunday football on T.V. is when I need a super simple project because I go back and forth as I can’t sit for very long. My first one (view 1) is made from a holey charcoal gray jersey knit that I bought about a year and a half ago from Silhouette’s website. This fabric is really cool, it is very textured and kind of spongy. I used an argyle printed zipper from my stash for a little pop. 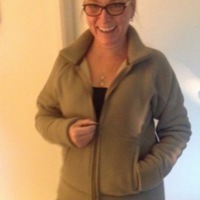 My second (view 2)is with a taupe Maggy London rayon rib knit from FabricMart and a YKK black zipper with brass teeth. 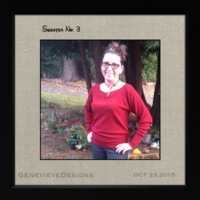 I had about 1-1/2 yards of the rib knit left which was just enough to sew up a quick turtleneck using my TNT Jalie t-shirt pattern, shown with my wrap. I doubled the width of the neck-band because I like a tall turtleneck, Jalie’s is really a mock-turtleneck. Worn with my Jalie Eleonores! oooh, my cheeks are so rosy! My next make on the cutting table are more Ginger Jeans, blogged here. I’ve also got 5yards of Seahawks flannel for making Christmas gifts for all our kids and grandkids, shhhh don’t tell them ;). Then it’s on to a custom fit shirt for my son who is has become quite the on point styled young man. I will be using Silhouette Patterns George’s Shirt. Thanks for reading :). Have you busted your stash lately? What got me thinking about writing about our waxing and waning stashes, is that I’ve recently (a month ago :/) won a fabric bundle from Lauren at http://www.spitupandstillettos.com. It included 5 1 yard pieces of some really fun cotton Lycra (I think) knits. I entered for the give-away and was one of the winners! Thank you Lauren and Alyson Clair Collaboration :). Many of us home sewers have a stash, and wrongly give it a shameful mention when the prospect of adding yet another piece of yardage arises. I say just shift your paradigm and redefine what a stash is. I have. My stash is my own curated @home-fabric-store. Curated because I only purchase carefully selected yardage that I know I will love. Most of the time I buy fabric simply because I love the color, print or texture and know it will find its purpose one day. On occasion, I purchase fabric for a specific make and complete it right away. However there are times my intentions change when I’m daydreaming…or night dreaming as it were. I love when I see an inspiration and go shopping in my @home-fabric-store and get to see and feel my way through my stash to find the perfect match. I guess you could say I’m being environmentally responsible, after all I didn’t have to use any gas, right? I think I need to hire new help…this is a mess! Depending on how long a piece of fabric has been around, it may be considered free when you make it into something other than its original shape. By that I mean it can be a garment, quilt, bag or whatever makes your sewing machine sing. My sewing machine’s favorite tune is clothing 😜. There have been only a couple of times when my stash was less than 5 pieces over the years, but now, and really at any given time it’s upwards of 20, 30, 40 pieces. And that is probably not even accurate. Haha! Stashing is not relegated to fabric only. Don’t forget nOrion’s, notions and more notions! Every sewer needs to have an assortment of zippers, buttons, snaps and various tapes to rifle through when planning a make. I add to this section of my @home-fabric-store often. This creates a much more relaxed planning process since I don’t have to worry about going to the local fabric store where they might not have what I need or want. Thread, needles, interfacing and stay tapes remain in more than adequate supply. In fact I need to reorder more black tricot interfacing. Two of my fave online sources are Wawak and Pacific Trimming for zippers, snaps, cool buttons, needles and thread. For my go-to tricot interfacing, I use Silhouette Patterns. It is wonderful stuff. There are other shops that I may buy from, but I won’t bore you as I’m sure you have your faces as well. Let me know if you’d like a list of where I like to shop and I may put together a page with sources. See, there’s no need to feel guilty or ashamed when deciding if buying that 2 or 3 yards of luxurious wool/silk suiting is necessary. Just consider it as adding to your curated @home-fabric-store!